"A GREEN PLANET IS A CLEAN PLANET"
Poll cont associates Environmental Laboratory- recognized by ISO & NSIC certified- is committed for providing environmental laboratory services to its valuable clients. Well equipped research and analytical laboratory based in Vadodara is playing vital role in environmental analysis and monitoring of various environmental medias like air, water, wastewater, soil, sludge, noise, stack etc. Our laboratory facilities have been set up in a specious location in gotri vadodara as per MoEF and got three sections i.e. General Laboratory, Soil testing Laboratory and Air Quality assurance & safety. AAS 303 for heavy metals analysis. PM 10 & PM 2.5 Combo Sampler, Gases kit for ambient air monitoring and Stack Monitoring kit. Other equipments which is necessary to carry out laboratory analysis such as BOD digester, Muffle furnace etc. 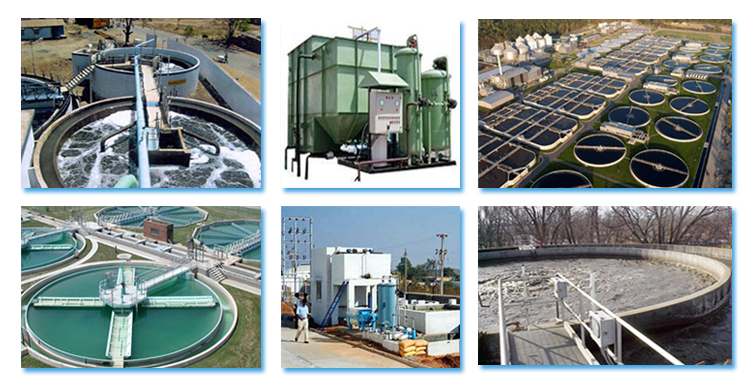 Drinking water, waste water, industrial effluent analysis. Monitoring as per requirement of OHSAS, ISO, Factory act requirement. Poll cont associates a leader in providing project and consultancy services on turnkey basis, has been well known for its quality, cost-effectiveness and well scheduled services. Poll cont has developed its niche in its prime regional markets and at present, enjoying its position through attaining optimum customer satisfaction. Poll cont associate’s ETP/STP/CETP are designed & commissioned for various industrial, commercial, infrastructures, construction, corporate sectors and well maintained by technical team. Detailed Designing and engineering services- like P & I diagram – plant layouts, Structural drawings, Piping drawings, Listing, quantity requirements and sourcing plant, machineries, accessories etc. Preparing operation and maintenance manuals. Preparation of Techno-Commercial feasibility report for ETP/STP/CETP plants. Designing the appropriate treatment scheme with option like – Conventional, Diffused aeration, Moving Bed Bio reactor [MBBR], Submerged Aerated Fixed Film Reactor [SAFF], Membrane bio reactor [MBR], Sequential Batch reactor [SBR], Ultra-filtration, Ultra violet and Reverse Osmosis Plant Systems. Ambient air quality including stack monitoring. To measure emissions of SO2, NH3, NOx, SPM etc. Water Quality: Analysis of existing water supply or anticipated source. Noise Level: Monitor noise levels within factory and surrounding areas. Soil Quality: To determine effect on soil due to percolation etc. Risk analysis, Environmental Management Systems, Health and Safety measures etc.